These two lovely litter sisters joined us in May 2012. They have super temperaments and works well in our team. We bought them to strengthen our sled team. We just now have one litter from Rajah and will keep two of the puppis for the same reason. 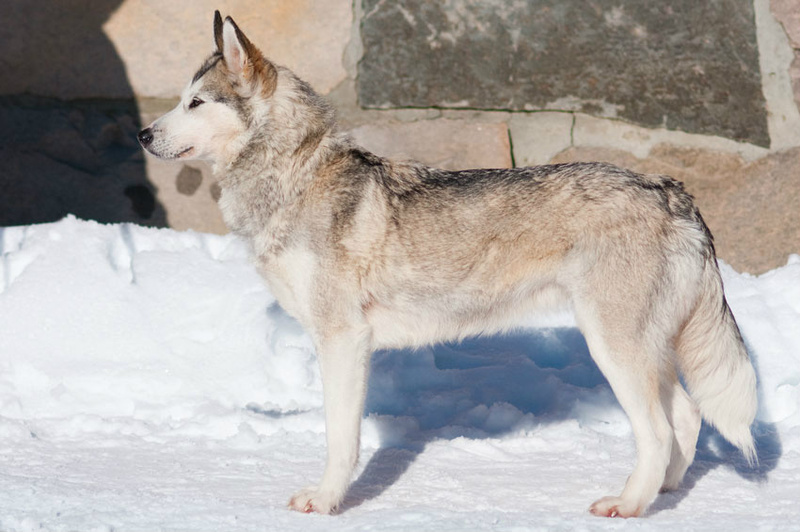 Many thanks to kennel Snørokk who sold them to us, as they would reduce their number of dogs. Rajah and Luna have lived together since birth. They are best friends so we bought both so that they would not be separated. Raiah is our new main leader. She is super so we can not praise her enough! Both sisters have lovely temperament, personality and are great working dogs with good look as well! Luna is a good worker in our team, but will not be used for breeding. Rajah had puppies at kennel Snørokk before she came to us. She has given some very good offspring. She has participated in many races. And several different distances. Went their first Femund race only 2 years old with her first owner. His last in 2012. Also have many other races as well as a leader in the winning team with former owners. 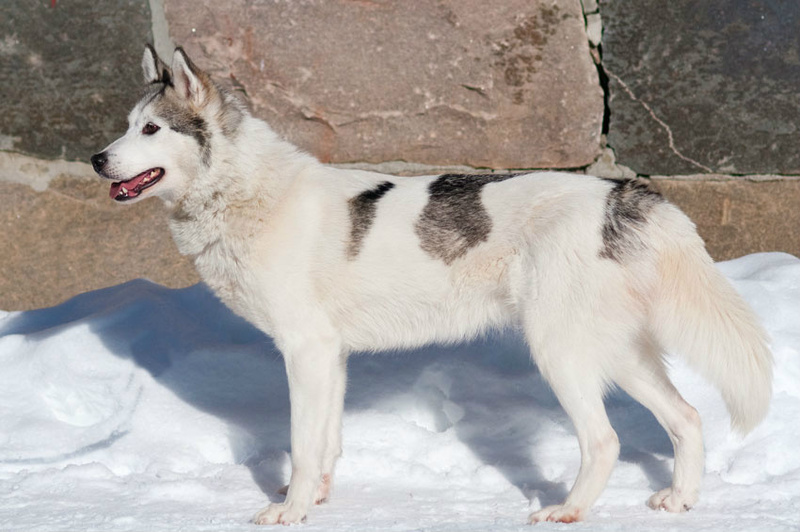 We keep her as a sled dog, she will not bee used for breeding. Work well as point dog.